Thanks to all those that turned up for a day with 6940 yesterday, the old girl behaved impeccably but the lineside sheep didn’t! Sorry about the two emergency stops, but we didn’t fancy mutton for dinner or fleece trim on the buffer beam cowls! Think we’ll have to get the local farmers to issue them with hi-vis gear…. The weather was variable but the showers were most welcome as they helped proved the wheelslip system is working perfectly! The photo below shows 6940 catching some of the fleeting sunshine we chased up and down the Dee Valley throughout the day at Glyndyfrdwy. 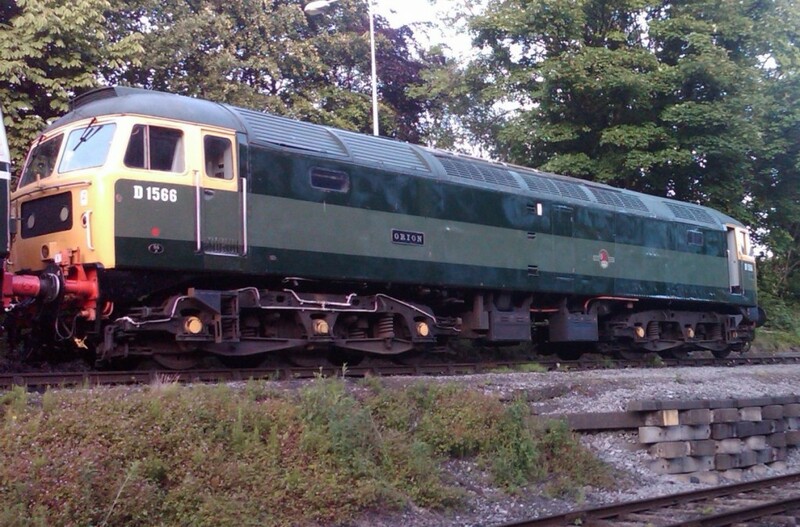 Our next four trip running day of 2011 is back in the hands of D5310 on the 9th of July. 6940 then returns for the final running day before the high season kicks in on 23rd July. 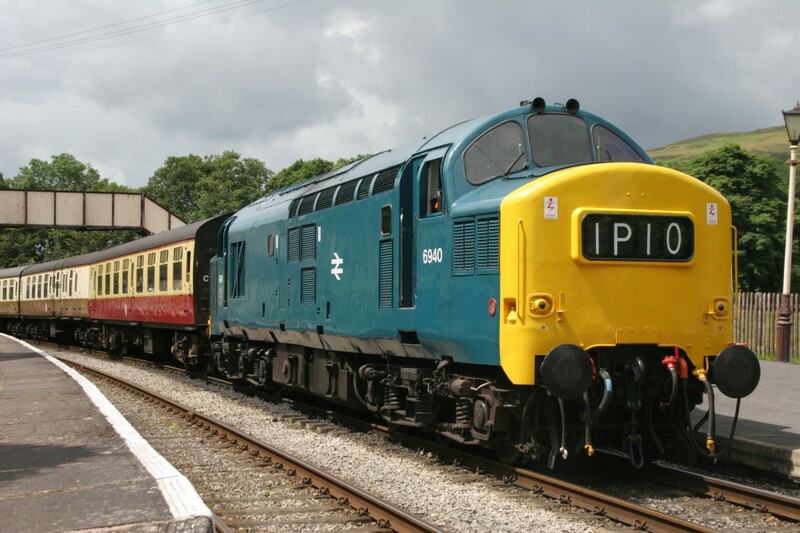 Then we’ve got the 60’s weekend to look forward to on 30th-31st July (TT available soon), the transport weekend on 28th & 29th August and our final diesel event of the year, Autumn Diesel Day on September 24th. Our attention now turns to D1566, which we are hopeful will be started for the first time since 2008 in the next fortnight, with wiring and radiator repairs progressing very well. Watch out for the video! In the meantime, Colin Cooper’s photo below shows her on the ramp at Goods Junction on Thursday 16th June after the oily rags had been fetched out. Although bodywork is clearly needed, the Type 4 still looks pretty presentable after nearly 2 years out of service.